The GANNET53 project is coordinated by Nicole Concin at the Medizinische Universität Innsbruck (Innsbruck Medical University; IMU; https://www.i-med.ac.at/mypoint/). Five departments/ units within the legal entity IMU have a distinct and central role in the GANNET53 project. The IMU clinical trial centre (KKS) will perform the monitoring at all patient-recruiting sites in Austria, Germany, France and Belgium. The organisational Unit “Clinical Trial Centre” at the Innsbruck Medical University (IMU) was founded in October 2006 (http://kks.i-med.ac.at/). Its core competence is to support researchers at IMU in planning, performing and evaluating clinical trials through consultancy and/or direct project contributions. The clinical trial centre offers expert training on all aspects of clinical trials for IMU staff involved in clinical trials at all levels. The IMU clinical trail centre has profound expertise in regulatory framework conditions, national and international legal regulations related to clinical trials, compilation of clinical trial applications (ie protocol definition, definition of ICH key documents), management of clinical trial approval procedures (Ethics Committees and Competent Authorities), monitoring of clinical trials (start-to-end: site initiations, periodic monitoring, site close-outs), project management of clinical trials, management of contractual aspects of clinical trials, medical writing i.e. clinical trial reporting and management of trial master files. The IMU clinical trial centre provides appropriate facilities and trained professionals for management of clinical trials. A-AGO is the lead-clincal trial group in the GANNET53 trial. The A-AGO trial centre is the legal Sponsor of the GANNET53 trial. The organisational Unit A-AGO-trial centre is part of the Innsbruck Medical University (IMU). A-AGO was founded in 2002 to organise all Austrian gynaecological oncological trials. A-AGO has since then coordinated, managed and supported more than 50 multicentre, multinational clinical trials according to ICH-GCP guidelines. For several academic studies the A-AGO also served as legal Sponsor. A-AGO is member of the Gynaecologic Cancer Intergroup (GCIG) and the European Network of Gynaecological Oncological Trial Groups (ENGOT), which is supported by and part of the European Society of Gynaecologic Oncology (ESGO). The Department of Obstetrics and Gynaecology (https://www.i-med.ac.at/patienten/dept_frauenheilkunde.html) will enrol patients and participate in integrated laboratory-based research. 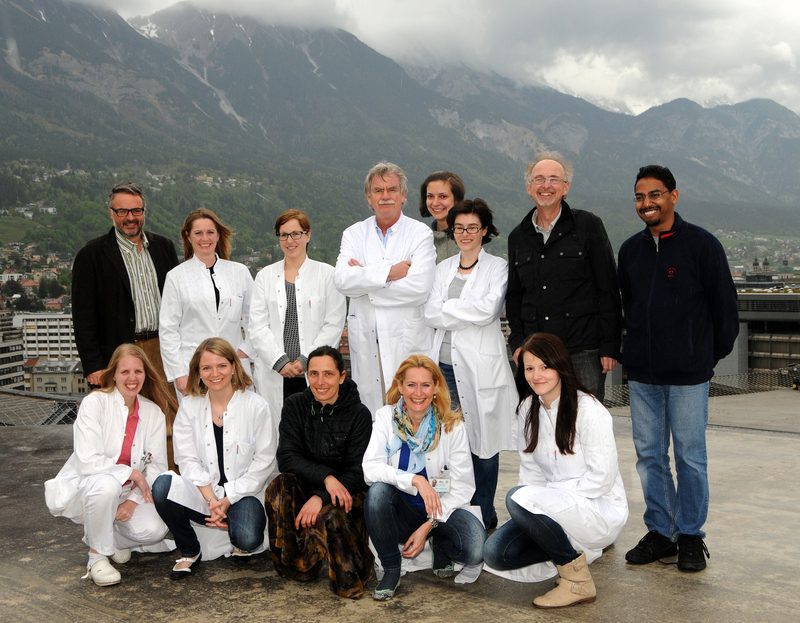 The Innsbruck Medical University is dedicated to patient care, research and education. This comprehensive centre has recently been established with a strong collaboration between the various disciplines. The Department of Obstetrics and Gynaecology is a large tertiary centre in gynaecologic oncology with more than 500 gynaecologic cancer patients per year. Translational research is facilitated by excellent laboratory facilities with ca. 500 m² laboratory area. Since 1985 a tissue and serum bank has been built with tissue samples from more than 5,000 cancer patients and about 250,000 serum samples. The Department participates and organises ovarian cancer trials from phase I to phase III with the help of the integrated A-AGO trial centre. The Department of Obstetrics and Gynaecology is publishing more than 40 papers per year in peer-reviewed journals. Experiences: The Department of Obstetrics and Gynaecology has been involved in the Oncotyrol Project which is a centre of excellence founded with € 28 Mio endowment. It previously also participated in the EU FP6 OVCAD project and is currently involved in many ovarian cancer trials within the European Network of Gynaecological Trial Groups, GCIG, A-AGO and in industry trials in ovarian cancer. Christian Marth, MD, PhD, is the Chair of the Austrian Association of Obstetrics and Gynaecology, president of the A-AGO, and previous council member of the European Society of Gynaecological Oncology (ESGO). He is author of about 400 original full papers in peer-reviewed journals and member of the editorial board of the International Journal of Gynaecological Cancer and serves as a reviewer of numerous medical journals. Alain G. Zeimet, MD, PhD, is the past president of the A-AGO and leads the gynaecologic oncology group at the Department of Obstetrics and Gynaecology. Nicole Concin, MD, PhD, is a gynaecological oncologist and Professor of Experimental Gynaecology. She is ESGO council member, and Co-Chair of the ENGOT Phase I/II network. She is a renowned physician-scientist in p53 translational research in ovarian cancer. Her research group focuses on the clinical relevance of p53 family members (p53/p73 and isoforms) in ovarian cancer and continuously publishes on this topic in high-ranked peer-reviewed jounals in the last 10 years. She is a member of the scientific board of A-AGO and TOC. Description: Quality of life experts at the Department of Psychiatry, Psychotherapy and Psychosomatics will lead Quality of life analyses in the GANNET53 trial. The department has engaged in quality of life assessment in cancer patients since the early 1990s and has published a substantial number of original articles on clinical as well as methodological studies. In addition, to its research activities the department provides a psycho-oncological consultation-liaison service for cancer patients treated at the Medical University of Innsbruck. Several researchers at the department are members of the European Organisation for Research and Treatment of Cancer (EORTC) Quality of Life Group. Bernhard Holzner, PhD, graduated from Innsbruck University, Faculty of Psychology in 1994. He obtained special degrees in clinical psychology and health psychology (1995 Vienna) and psychotherapy (1998 Munich) and is a staff member of the Division of Psychooncology and Psychoimmunology at the Department of Psychiatry at the Medical University Innsbruck since 1994. In 2003 he became Associate Professor and Psychotherapy and spent several months at the Center on Outcomes, Research and Education in Evanston/Chicago. In the same year he became associate director of the Division of Psychooncology with special responsibilities for research in the field of patient-reported outcomes (PROs). In 2015 Dr. Holzner became Professor at Medical University of Innsbruck and since then is the leading psychologist at the Department of Psychiatry, Psychotherapy and Psychosomatics. He has published more than 100 articles in the area of PROs and is associate editor of Quality of Life Research. Between 2010 and 2017 he was member of the executive committee of the EORTC Quality of Life Group. He is a well-known specialist in developing electronic tools for the assessment of PROs. Johannes Giesinger, PhD, is a post-doc research associate working at Innsbruck Medical University. He is engaged in patient-reported outcome research in oncology and has (co-)authored >80 PubMed-listed articles. As a member of the EORTC Quality of Life Group he is collaborating on several projects conducted by this group. The Department of Medical Statistics, Informatics and Health Economics (https://www.i-med.ac.at/msig/) provides the trial statistician. This department supports all oncologic research activities of the theoretical and clinical institutes. Among others, there is intensive cooperation with the Department of Obstetrics and Gynaecology with a main focus on oncology. p53-based research has been jointly performed over the last 10 years. Main tasks of the Department are statistical consulting regarding the design and analysis of clinical trials. Other services such as data capturing with e-CRF, data management and randomisation are provided as well. The Department employs a total of five highly experienced biostatisticians. In addition, the department has a research focus in the field of cancer epidemiology. The Metabolic Syndrome and Cancer project (Me-Can), in which the Department has a leading role, has produced more than 20 peer-reviewed publications in the last three years. In total, the Department publishes more than 50 scientific papers per year in peer-reviewed journals, mostly in the field of clinical studies. Hanno Ulmer, PhD, is the director of the Department and will personally be responsible for all statistical issues of the GANNETp53 trial. He is currently the president of the Austro-Swiss Region of the International Biometrical Society and has 20 years of experience in clinical research with more than 380 published articles. He has been the responsible statistician in more than 200 clinical studies, many of which in the field of oncology. Ignace Vergote is the leader of WP4, i.e. the Phase II clinical trials. KU Leuven will recruit patients in Phase I (WP3) and in Phase II GANNET53 trial and the EUDARIO trial including the collection of biomaterials (WP4) and will also process biosamples (WP6: companion diagnostics). KU Leuven is responsible for Ethics Committee Application and all necessary Regulatory Authority interactions in Belgium (WP2) in the GANNET53 trial. The University Hospital Leuven is the legal Sponsor of the EUDARIO trial and the leading national trial group in the EUDARIO trial. BGOG trial centre has been substantially involved in the planning of the EUDARIO trial and will be responsible for its administrative clinical trial management: coordination of the trial at Leuven, including interactions with local Ethics Committees and Regulatory Authorities, coordination of national trial groups in Germany, France, Austria and Italy, pro-active monitoring of recruitment in all countries, preparation of essential trial documents in a GCP-compliant manner (Protocol, CRFs, PICFs), regulatory medical writing, carrying responsibility for contractual matters and patients' insurance in Belgium, and communication between all involved parties. Furthermore, KU Leuven is involved in dissemination activities (WP8). The University Hospital Leuven is dedicated to research, patient care and education, making it one of the top-ranked hospitals in the EU. The Department of Gynaecologic Oncology is a tertiary centre treating more than 120 new ovarian cancer patients per year. In addition, about 100 other ovarian cancer patients per year are treated at the time of relapse. A large tumour bank has been assembled over the past 15 years with tissue samples from >2,500 ovarian tumours. The Department currently participates in more than 25 phase I-II or phase III trials in ovarian cancer, involving many new molecular targeted drugs. At the Integrated Laboratory of Experimental Gynaecological Oncology, 3 university professors, 2 post docs and 13 PhD students are currently performing translational research on gynaecological cancers. The division of Gynaecological Cancer research is publishing more than 50 papers per year in peer-reviewed journals. Genetic profiling of ovarian tumours is performed in collaboration with the Vesalius Research Centre, experienced in performing large-scale genetic studies. Experience: The University of Leuven has been involved in the EU FP6 OVCAD project and is involved in the EU FP7 OCTIPS project. Currently the Department is involved in many ovarian cancer trials within the EORTC-Gynaecological Cancer Group, ENGOT (European Network of Gynaecological Trial groups) and BGOG (Belgian and Luxembourg Gynaecological Oncology Group), as well as in industry trials in ovarian cancer. Ignace Vergote, MD, PhD, is the Chair of the Protocol Committee of the European Organisation for Research and Treatment of Cancer - Gynaecological Cancer Group (EORTC-GCG), the Past-Chairman of the European Network of Gynaecological Oncological Trial groups (ENGOT), the Chairman of the Leuven Cancer Institute, and is Past-President of the European Society of Gynaecological Oncology (ESGO) and the International Gynaecologic Cancer Society (IGCS). He has authored more than 640 original full papers in peer-reviewed journals, 50 book chapters, and edited several books on Gynaecological Oncology. He is also the Editor of the European Journal of Cancer – Gynaecological Cancer and member of the Editorial Board of numerous medical journals such as the Journal of Clinical Oncology, Gynaecologic Oncology and the Int. J. Gynaecologic Cancer. Els Van Nieuwenhuysen, MD, is a gynaecological oncologist and PhD candidate performing translational research on genetic alterations in ovarian cancer. Nicole Concin, MD, PhD, is ESGO council member, and Co-Chair of the ENGOT Phase I/II network. 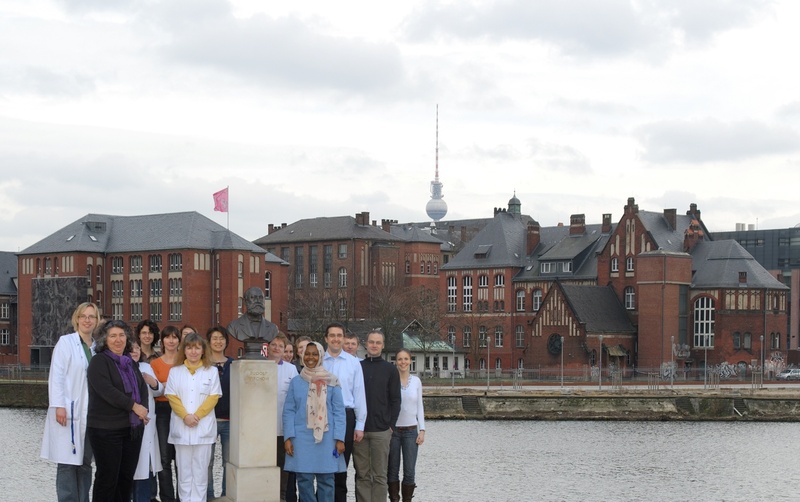 Charité Berlin is the leader of WP5 (CHR, biobanking and data repository). The Department of Gynaecology will recruit patients in Phase I GANNET53 (WP3) and in the Phase II GANNET53 and EUDARIO clinical trials including the collection of biomaterials (WP4 and will also process biosamples (WP6: companion diagnostics) and participate in dissemination activities (WP8). The Department of Gynaecology has a leading position in the treatment and management of patients with ovarian cancer in Germany. Yearly we perform more than 200 multivisceral surgeries due to this disease and about 250 new ovarian cancer patients are treated each year. Since January 2008, our department is a European Competence Centre for ovarian cancer, taking part in many Phase I to Phase III clinical trials for gynaecological malignancies and ovarian cancer. About 180 patients are enrolled yearly in clinical trials. Our institution is strongly linked to the major national and international trial groups (e.g. the NOGGO study centre is established in our Department, German-AGO; ENGOT; A-AGO; MITO; MANGO; GEICO). Apart from clinical management and running trials in ovarian cancer, our centre has a strong track record in translational research and thus founded in 2004 the International Multicentre Tumour Bank Ovarian Cancer Network (TOC, www.toc-network.de). TOC includes 12 recruiting centres - some of them are also partners in this project - and at present holds the largest biobank for ovarian cancer worldwide with more than 6,000 patients enrolled. Within this biobank, tissue (fresh frozen or FFPE samples), ascites, plasma and serum are collected. TOC has established SOPs for sample collections and clinical data documentation, including the intraoperative mapping for ovarian cancer (IMO tool). Jalid Sehouli, MD, PhD has a striking clinical expertise track record in gynaecological oncology. He is active in scientific research as the initiator and leader of the TOC network and of several Phase I to Phase III clinical trials. He led the WP biobanking within the OVCAD and OCTIPS consortium. Elena Ioana Braicu, MD, PhD is a physician working in the field of ovarian cancer. She is leading the TOC Laboratory and the translational research within the group. She is also involved in both OVCAD and OCTIPS projects. Radoslav Chekerov, MD, is a physician with strong expertise in the systemic treatment of ovarian cancer, directing the chemotherapy ambulatory clinic in our Department. The Charité Institute of Pathology was founded in 1856 by the preeminent Father of Pathology, Rudolf Virchow as the first pathological institute in Germany (pathologie-ccm.charite.de). 60.000 tissue samples from all three campi of the Charité Medical University are histopathologically investigated each year at the Institute of Pathology. The Translational Cancer Research Group evaluates multilevel biomarkers from tissue samples, focusing on predictive and prognostic biomarkers in ovarian and breast cancer. The group has strong expertise in high-throughput processing of fresh-frozen and FFPE tissue samples for tissue microarray (TMA) production and nucleic acid (DNA, RNA, microRNA) extraction. Immunohistochemistry, real-time PCR, and DNA deep sequencing methods are well established in the lab. The Translational Cancer Research Group tightly collaborates with the TOC lab group of the Department of Gynaecology since many years. Silvia Darb-Esfahani, MD, is a senior pathologist with a focus on biomarkers in ovarian and breast cancer. She already participated in the FP7 project MetaCancer and is involved in the OCTIPS project. Wolfgang Daniel Schmitt, MD, is a pathologist with a focus on biomarkers in ovarian and breast cancer. He participates in the OCTIPS project. Eliane Taube, MD, is a pathologist working on gynaecological cancers. The Universiaetsklinikum Hamburg-Eppendorf will recruit patients in the Phase I GANNET53 trial (WP3) and in the Phase II GANNET53 and EUDARIO clinical trials including the collection of biomaterials (WP4) and will also process biosamples (WP6: companion diagnostics). Barbar Schamlfeld, MD, is the Head of Department of Gynaecology and Gynaecologic Oncology. She has long-term research experience in the field of gynaecological cancers. She has worked on therapeutical Phase II trial on the development of new drugs for gynaecological cancers and breast cancer. Until 2015 she was Head of the Malignat Ovary Tumours working group at the Munich Tumour Centre. She has authored more than 70 original full papers in peer-reviewed journals and several book chapters on Gynaecologic Oncology. Sven Mahner, MD, has long-standing expertise in clinical phase I/II and III trials in ovarian cancer and in translational research. He is a member of the steering committee and executive board of the AGO-OVAR study group and represents this group in the Gynaecologic Cancer Intergroup (GCIG). He has authored more than 60 original full papers in peer-reviewed journals and several book chapters on Gynaecologic Oncology and received numerous awards for his research. Linn Woelber, MD, is a physician specialised in Gynaecologic Oncology, and actively performs translational research in ovarian cancer. The Medical University of Vienna (MUW) is the lead participant and workpackage leader in WP6 (companion diagnostics).The main tasks in WP6 are the establishment of the p53 mutation detection system and determination of the exact p53 status in biomaterials of patients enrolled into Phase II. Moreover, Medical University of Vienna performs CTC analyses (WP6) and participates in dissemination activities (WP8).The Medical University of Vienna recruits patients in Phase II GANNET53 trial including the collection of biomaterials (WP4) and is a fundamental participant in WP6 (companion diagnostics). The Molecular Oncology Group was founded by Robert Zeillinger more than 20 years ago. It is focusing on molecular oncology research, especially biomarker identification and validation. p53 is an important topic since the beginning. The group established a functional p53 assay (FASAY) for rapid mutation detection and identified new p53 splice variants. The laboratory includes 2 associate professors, 2 senior post docs, 3 PhD students, 3 MS students, 6 technical assistants and about 10 physicians who are involved in the research work besides their clinical practice. The laboratory is well equipped with various basic and advanced lab instruments and has access to deep sequencing, microarray platforms and other high-tech equipment in the core facility of the university. The main topics of the laboratory are: detection and characterization of circulating tumour cells (CTCs) in gynaecologic cancers, identification and validation of signatures consisting of mRNA and protein biomarkers for early cancer diagnosis, therapy prediction and monitoring, and prognosis. Robert Zeillinger has established the “OVCAD” consortium and has successfully coordinated this EU FP6 research project. The Molecular Oncology Group participates in TOC (Tumourbank Ovarian Cancer) and EUTROC (European Network for Translational Research in Ovarian Cancer) and Robert Zeillinger is member of their scientific boards. Robert Zeillinger, PhD, is Head of the Molecular Oncology Group of the Department of Obstetrics and Gynaecology at MUW. He is also the group leader of MUW and OncoLab (please see participant 12). Eva Obermayr, PhD, is an expert in isolation and detection of circulating tumour cells. She identified mRNA signatures for detecting CTCs in blood samples of patients with ovarian, breast, endometrial, and cervical cancer. She also has strong expertise in molecular characterisation of CTCs, and recently specifically identified Cyclophilin C as a strong prognostic biomarker in CTCs. The Department for General Gynaecology and Gynaecologic Oncology is a treatment centre of gynaecological cancers, treating about 45 new cases of ovarian cancer yearly. Alexander Reinthaller, MD, PhD, is the head of the Gynaecologic Cancer Unit of the Department for General Gynaecology and Gynaecologic Oncology. He is an experienced gynaecologic oncologist, a board-approved clinical trial investigator and PI of >30 Phase II-III clinical trials. He is former president of the A-AGO trial group and cooperating with several international academic institutions. Heinz Kölbl, MD, PhD, chairs the Department of General Gynaecology and Gynaecologic Oncology. He is a leading expert in gynaecologic oncology and highly experienced in the design and conduction of clinical studies. Stephan Polterauer, MD, PhD is a gynaecologist and physician scientist with focus on gynaecological oncology. He participates and leads a high number of clinical and investigational studies in gynaecological oncology and has performed a research-fellowship at the Memorial Sloan-Kettering Cancer Center, New York, NY. The Assistance Publique des Hôpitaux de Paris (AP-HP) includes most of the academic centres of Paris and surroundings, i.e. 37 academic centres organised into 12 hospital groups. The 2 biggest centres for gynaecology oncology research in AP-HP are Hôpital Tenon and Hôpital européen Georges-Pompidou and both of them participate in the GANNET53 project. The two Medical Oncology Departments recruit patients in Phase II GANNET53 trial. Hôpital Tenon also recruits patients in the EUDARIO trial. P6 collect biomaterials (WP4) and also processes biosamples in WP 6 (companion diagnostics). The Hôpital européen Georges-Pompidouis an academic hospital within AP-HP. The HEGP covers about 40% of the total amount of cancer cases taken care of in Western Paris. In 2009, HEGP admitted 3,646 new cancer patients. Oncology, radiation therapy, head & neck, digestive tract, respiratory and gynecological cancer surgery are grouped within a department dedicated to cancer care. This cluster organization dedicated to both medical and surgical oncology provides a well-organized healthcare facility in oncology. The Hôpital Tenon is an academic hospital within AP-HP. One of the main activities of the Medical Oncology Department (Jean-Pierre Lotz) is gynaecological cancer research in addition to patient care and education (Fréderic Selle) and is also one of the top clinical research centres in France. The Department is treating more than 150 new ovarian cancer patients per year and more than 500 new gynaecological cancer patients each year. The Medical Department currently participates in more than 50 phase I-II or III trials in cancer patients and around 10 trials are dedicated to gynaecologic cancers. Eric Pujade-Lauraine, MD, PhD, is the Chair of GCIG (Gynaecological Cancer Intergroup), which is the umbrella under which all cooperative groups focusing on gynaecological cancer world-wide are organised. He is also member of the board of the ENGOT (European Network of Gynaecology Oncology Trial), member of the American NCI Gynaecological Cancer Steering Committee, and the Chair of the AP-HP National Rare Gynaecological Tumour Reference Centre of AP-HP. He has authored more than 200 original full papers in peer-reviewed journals. Pierre Combe, MD is a physician involved in clinical trials in gynaecologic oncology and expert in Clinical Immunology, Pathology and Oncology. He is author of more than 40 publications. Frederic Selle, MD, is member of the scientific committee of the GINECO group, part of the board of the Rare Gynaecological Tumour Reference Centre of the AP-HP and chair of the medical committee of gynaecology cancer in Hôpital Tenon. He has authored more than 130 original full papers in peer-reviewed journals. Jean Pierre Lotz, MD, PhD, will be the principal investigator in the EUDARIO trial. Jean-Pierre Lotz, Professor of Medicine at the Pierre and Marie Curie University & Medicine Faculty Paris VI is head of the Department of Medical Oncology and Cellular Therapy at the Tenon Hospital in Paris.He served as member of the French Society of Bone and Blood Transplantation for 8 years and was co-founder of the French-Serbian Society of Clinical Oncology. He oversees oncology teaching programs in the ‘Ile de France’ area and belongs to the National Board of Professor of Oncology since 2007.As scientific coordinator of the ‘Association Pour la Recherche En Cancérologie’, he has research interests in clinical trials and new drug development, focused on solid tumors, mainly germ-cell, breast and gynecologic tumors. He has been acting as principal or co-investigator in phase II and III clinical trials, mainly in the field of high-dose chemotherapy with bone or blood stem cells transplantation for breast, ovarian, and germ-cells tumors. The Centre Anticancereux Léon Bérard is a Comprehensive Cancer Centre dedicated to research, patient care and education, and is one of the top-ranked hospitals in the EU. The Department of Adult Medical Oncology is tertiary centre treating more than 100 new ovarian cancer patients per year. A tumour bank has been constructed in the past 10 years with tissue samples from 170 ovarian tumours. The Department currently participates in more than 100 phase I-II or III trials in cancer patients and more than 10 are dedicated to gynaecologic cancers. The division of Medical Oncology Department is publishing more than 100 papers per year in peer - reviewed journals. The Centre Anticancereux Léon Bérard has been successfully involved in the EU FP6 OVCAD, HERMIONE and CHILDHOPE projects and is involved in the EU FP7 OCTIPS project. Currently the Department participates in many ovarian cancer trials within the GINECO group, ENGOT (European Network of Gynaecological Trial groups) and GCIG, and in industry trials in gynaecologic cancer. CLB is leader of WP3 (Phase I) and recruits patients in the Phase I GANNET53 trial, and in the Phase II GANNET53 and the EUDARIO clinical trials. CLB collects biomaterials (WP4) and participates in companion diagnostics (WP6) . Isabelle Ray-Coquard, MD, PhD, is the past Chair of the GINECO, the Chairman of the rare-tumour working group of GCIG, the Chairman of the multidisciplinary staff dedicated to gynaecologic cancer (CLB) and the national co-coordinator of the rare ovarian cancer network supported by the InCA (French NCI). She has authored more than 200 original full papers in peer-reviewed journals, 10 book chapters, and edited several books on Gynaecological Oncology. Olivier Tredan, MD, PhD, Pierre Heudel, MD, Pierre Meeus MD, Nicolas Chopin, MD, Fréderic Beurrier, MD, and Nicolas Carrabin MD (gynaecological surgeons) are physicians involved in clinical trials dedicated to gynaecologic oncology. Isabelle Treilleux, MD, PhD, (pathologist) and Nathalie Bendriss, PhD (researcher) are involved in the organisation of translational research dedicated to gynaecologic cancers. Alice Levrard, MD, and Nathalie Bonnin, MD, are Fellows in medical oncology focusing on gynaecologic cancers and involved in Clinical trials Phases I to III. The main duties of the G-AGO group are initiating and processing clinical trials in gynaecologic tumours, organisation of educationals courses and networking in national and international expert panels. With more than 250 institutions (hospitals, centres of excellence etc.) and in alliance with cooperative networking as the GCIG (Gynaecologic Cancer Intergroup) and the ENGOT (European Network of Gynaecological Oncological Trial Groups). The G-AGO group is one of the strongest groups in the field of gynaecologic cancers worldwide. One of the founding members of AGO Study Group, Andreas du Bois, is past ENGOT chair. G-AGO is responsible for and and coordinates all patient-recruiting centres designated to G-AGO (i.e. P4, P14, P15) in Phase I (WP3) and Phase II (WP4) part of the GANNET53 trial. Furthermore, G-AGO is responsible for Ethics Committee Application and all necessary Regulatory Authority interactions in Germany (WP2) in the GANNET53 trial and involved in dissemination activities with respect to the GANNET53 trial (as representative of its assigned clinical centres; WP8). NOGGO was founded in 1998 in Berlin as an interdisciplinary and interprofessional society with the aim to improve the life expectancy and recurrence-free survival among different tumour entities, decisively with special consideration given to the quality of life. Today, NOGGO has 700 members who use the Continuing Education offers and participate actively in working groups or clinical trials of the society. Based on the primary objective, NOGGO designs and conducts extensive clinical studies on the requirements of Good Clinical Practice to various gynaecological tumour types at the national and international level. Since many years the NOGGO has a proven track record in the conception, realisation, evaluation and interpretation of controlled mono- and multicentric studies. NOGGO is a member of ENGOT and GCIG. In addition, NOGGO maintains strong international and interdisciplinary cooperations with different working groups and tumour centres in Europe, the US, Asia and Africa. In the last 5 years NOGGO initiated several international studies in collaboration with other groups such as the G-AGO group. At present, NOGGO has four clinical trials Phase I to Phase III running in recurrent ovarian cancer and one Phase II clinical trial in newly diagnosed ovarian cancers. NOGGO is responsible for and coordinates all patient-recruiting centres designated to NOGGO in Phase I (WP3) and Phase II (WP4) part of the GANNET53 trial (i.e. P3, P17, and P18) and in the EUDARIO trial (i.e. P3, P4, P15, and P17). NOGGO is responsible for Ethics Committee Applications and all necessary Regulatory Authority interactions in Germany (WP2) in the EUDARIO trial (single German national trial group participating in the EUDARIO trial) and participates in clinical trial preparations in the GANNET53 trial (WP2). Futhermore, NOGGO takes part in dissemination activities (as representative of its assigned clinical centres; WP8). Jalid Sehouli, MD, PhD, has extensive clinical expertise in gynaecological oncology, especially in ovarian cancer, and is the initiator and leader of many clinical trials. He published more than 400 peer-reviewed articles. Professor Sehouli is a member in NOGGO and in other national and international study groups. His contributions to the field of ovarian cancer have been exceptional. He will lead NOGGO in the GANNET53 project. Maren Keller, PhD, is the general actual leader for clinical trials of the NOGGO society. She has studied biotechnology and has a long experience in regulatory affairs for clinical trials. Kristin Schnuppe, PhD, is a project manager for clinical trials within the NOGGO society. She has studied Biochemistry and has a long experience in regulatory affairs for clinical trials. The gynaecological cancer cooperative group was created in 1993 by Eric Pujade-Lauraine, JP Guastalla, and P. Vincent. GINECO is a cooperative clinical trials group of clinicians dedicated to gynaecological cancer research in France and stands for Groupe d’Investigateurs Nationaux pour l’Etude des Cancers Ovariens. ARCAGY is the legal entity and the operational structure of the GINECO group. ARCAGY-GINECO is a non-profit organisation. More than 700 investigators of more than 150 centres (public or private) participate in ARGAGY-GINECO. To date, the ARCAGY-GINECO group is the only group dedicated to gynaecological cancer research in France. It has been labelled by INCA (Institut National du Cancer) as the only “French cooperative intergroup focusing on cancer with international scope” dedicated to gynaecological cancers. Experience: Since its creation, the group has been involved in more than 50 research protocols, of which 20 are still ongoing. The ARCAGY-GINECO database includes more than 5.000 patients. Yearly 3 to 5 new trials are implemented, allowing 5 to 10 trials to be active for recruitment each year. Globally, 60 to 80 sites are active each year. GINECO is responsible and coordinates all patient-recruiting centres designated to GINECO (ie P6, P7, P16) in Phase I (WP3) and Phase II (WP4) part of the GANNET53 trial and in the EUDARIO trial. Furthermore, GINECO is responsible for the administrative coordination of the GANNET53 and the EUDARIO trial in France, including Ethics Committee Application and all necessary Regulatory Authority interactions in France (WP2). It will participate in dissemination activities (as representative of its assigned clinical centres; WP8). Eric Pujade-Lauraine, MD, PhD, is the Chair of GCIG (Gynaecological Cancer Intergroup), which is the umbrella under which all cooperative groups focusing on gynaecological cancer world-wide are organised. He is also member of the board of the ENGOT (European Network of Gynaecology Oncology Trial), member of the American NCI Gynaecological Cancer Steering Committee, and the Chair of the AP-HP National Rare Gynaecological Tumour Reference Centre of AP-HP. He has authored more than 130 original full papers in peer-reviewed journals. Bénédicte VOTAN, General Manager at ARCAGY-GINECO (Cooperative Gynecological Cancer Research Group). More than 15 years’ experience in Clinical Research in Pharmaceutical companies including positions as Project Manager and CRA's Manager. She is highly specialized in management, drug development/clinical research expertise, operational and strategic organization, recruiting and staffing, international relationships with key opinion leaders in Gynecological Oncology. Sylvie Mijonnet, Clinical Project Manager. She has long-term experience in the management of project in the field of (genealogic) oncology (Phase II and III trials). Göttingen University has a strong international reputation, ranked 9th in Europe and 43rd in the world in 2010 by the renowned British Times Higher Education World University Rankings. The Medical Sciences rank among the best 76-100 in the world. Its scientific facilities include state-of-the-art Genomics, Deep Sequencing, Proteomics, Bioinformatics and 3D Animal Imaging Facilities. The Göttingen University Hospital is the largest in Lower-Saxony and includes the interdisciplinary Göttingen Comprehensive Cancer Centre (G-CCC). The Dept. of Molecular Oncology, the main research arm of the G-CCC, focuses on basic and translational cancer research. It consists of 4 large research groups (Dobbelstein, Moll, Johnson and Bastians) with 45 full time Ph.D. graduate students and postdoctoral fellows, 6 technicians and 3 support staff. It has excellent new facilities for the required work and has a large panel of 40 defined ovarian cancer cell lines, advanced Animal Research Facilities, a Biobank, GRID computing and a Digital Research Archive. In 2007 Ute Moll accepted a professorship in the Department and founded a new research group, while maintaining a second lab in the USA (Stony Brook University, New York). UMG-GOE is WP7 leader and will raise the underlying concept of the GANNET53 trial (broad anti-tumour effects by degrading overexpressed mutp53 protein) to the highest stringency level of preclinical evidence by Genetic in vivo Proof-of-Principle experiments in engineered mice. Furthermore, experiments on Ganetespib responsiveness in human ovarian cancer models using cell cultures and xenografts will be done. Moreover, a stringent causality proof for Ganetespib-mediated mutp53-directed drug action underlying the preferential killing of mutp53 (versus wtp53 or null p53) will be performed. P12 will also participate in WP6 (companion diagnostics) and in WP8 (dissemination). Ute Moll, MD, PhD is a world-renowned p53 researcher at Göttingen University. Her research focus is on function and regulation of the p53/p63/p73 family of tumour suppressors. She is also a board-certified anatomic and clinical pathologist, and her work has a strong translational direction. She has been the Principal Investigator of a continuously productive, well-funded research laboratory in the last 20 years, including multiple successfully completed projects with uninterrupted grant support from the US National Cancer Institute, New York State Health Research Board, Deutsche Forschungsgemeinschaft and Krebshilfe, among others. She lectured and trained > 40 students and postdocs (e.g. Nicole Concin (P1) trained as postdoctoral fellow with Ute Moll) and authored over 138 peer-reviewed high impact papers in cancer including ovarian cancer (cited 7,520 times with an h-index of 43 and a combined Total Impact Factor of 769). She regularly gives invited lectures at international meetings and often serves as co-organizer of international meetings. Matthias Dobbelstein, PhD, is the director of the Institute of Molecular Oncology at University Medical Center Göttingen, Germany. He did his MD thesis at the University of Munich, followed by postdoctoral research at Princeton University. He was a group leader at the University of Marburg and was first appointed as a full professor at the University of Southern Denmark, Odense. In 2005, he was appointed at Göttingen, working on the interplay of the p53-Mdm2 regulatory system with the DNA damage response, DNA replication, and chemotherapy. Daniela Kramer, PhD, senior postdoctoral fellow, has graduated in the Dobbelstein group from 2012 to 2014, followed by a post-graduate fellowship with the Moll group until 2015. During this time, she worked out the molecular basis of a synergistic tumor cell death triggered by Ganetespib and Carboplatin treatment. Since 2016 she moved to Tübingen as a junior group leader. Ramona Schulz, PhD, senior postdoctoral fellow, has worked in the Moll group since 2009 on the role of heat shock 90 in stabilising MIF, an important tumour promoter, using a breast cancer mouse model and cell culture studies. She received a national award for her results and was selected to present at several international conferences. OncoLab is dedicated to R&D, manufacturing and marketing of medical in vitro diagnostics with focus on oncology. Since it became operative in 2011 it was awarded 2 national grants, enabling commencement of R&D regarding diagnostic tests for different types of cancer. The focus of the company lies in the development, manufacturing and marketing of competitive tests for cancer detection and cancer therapy monitoring P12 and its founder currently hold several industrial property rights. Experience: Robert Zeillinger is Founder and CEO of OncoLab Diagnostics. He also holds a leading position at the Medical University of Vienna, Austria, as head of the Molecular Oncology Group at the Department for Obstetrics and Gynaecology. Being active for more than 30 years in both academic and industrial research, he is a renowned scientist and proven leader of interdisciplinary, multinational teams. His distinguished scientific expertise is complemented by extensive experience in coordinating research projects of the EC-framework programmes FP6 and FP7. He is author and co-author of more than 200 scientific publications and holds several patents. OncoLab is WP6 leader and will develop and evaluate a functional molecular test (proximity ligation assay) to predict responsiveness to Ganetespib to identify patients who benefit most from the new therapy concept tested here. Oncolab also participates in WP7 (mouse models and xenografts) and WP8 (dissemination). Oncoloab is responsible for all administrative management tasks in the GANNET53 project (WP1). Gabriele Klaming is the GANNET53 project manager. Robert Zeillinger, PhD, founder and CEO of OncoLab, he has 25 years of experience in the field of molecular oncology, experimental oncology, gynaecologic oncology, and was initiator and coordinator of the EU FP6 project OVCAD. He is author and co-author of more than 180 scientific publications and holds several patents. Gabriele Klaming, Project and Knowledge Manager at OncoLab. She holds a master’s degree in Translation Studies from the University of Graz, Austria and a master’s degree in Applied Knowledge Management from the University of Applied Sciences in Eisenstadt, Austria. She has extensive experience in international project management and knowledge. Elisabeth Maritschnegg, post doctoral fellow, has received her master’s degree in Molecular Microbiology from the University of Graz, Austria. In her doctoral thesis done at the Molecular Oncology Group (Zeillinger Lab) at Medical University of Vienna she worked on the molecular detection and characterisation of cancer cells from different types of cancer. In 2017 she stareted to work for the VIB Switch Laboratory of Frederic Rousseau & Joost Schymkowitz in Leuven (http://www.switchlab.org/). Organized in four departments: consulting, creation, development and support, who work closely together to guarantee maximum project effectiveness and efficiency. They operate Europe-wide from their headquarters in Berlin and also run well-equipped project offices in Hamburg, Stuttgart and Düsseldorf. Xailabs is responsible for implementing and managing the software development for the project. The main tasks include the developent of a web-based software for documenting and tracking bio-samples, three databases for Electronic Case Report Forms (eCRF) for Phase I and Phase II GANNET53 trial and for the EUDARIO trial (WP5), respectively, and development of a webpage designed for different constituency groups such as patients, patient advocacies, physicians and pharmaceutical industry, plus a secured section for project partners with efficient communication and conference tools for scientific exchange (WP8). The Kliniken Essen Mitte (KEM) is a specialised interdisciplinary cancer centre which hosts one of the largest and scientifically most active departments of gynaecologic oncology in Germany. The aim of KEM is to become a Comprehensive Cancer Centre. In early 2011 Andreas du Bois was appointed Head of the Department of Gynaecologic Oncology. Since KEM is also a highly recognized centre of surgical excellence, many German medical fellows visit KEM to learn about surgical standards of therapy. Each year more than 300 ovarian cancer patients receive operative or systemic therapy at the KEM. Under the supervision of Andreas du Bois more than 1,500 patients have received treatment within prospective clinical trials. The KEM is closely linked to the G-AGO trial group. KEM hosts three gynaecologic oncologists who are principle investigators of international prospective clinical trials and who are members of the G-AGO executive board. For coordination purposes, parts of the AGO office moved into the proximity of KEM. The infrastructure of KEM assures that a large fraction of gynaecologic oncology patients receive treatment within clinical study protocols. The Department of Gynaecologic Oncology is currently recruiting patients for seven prospective phase II or phase III clinical trials. KEM has extensive experience in conducting Phase I-III trials and all operational tasks to collect and process tumour tissue samples are working efficiently. KEM is responsible for recruiting patients and collect biosamples in Phase II (WP4) of the GANNET53 trial and participates in WP6 (companion diagnostics). Andreas du Bois, MD, chairs the Department of Gynaecologic Oncology at KEM and is the president of ENGOT, the European assembly of study groups in gynaecologic oncology. Several international multi-centre clinical studies are currently led by him or by gynaecologic oncologists of his Department. He is author of more than 300 peer-reviewed publications and member of several editorial boards and study steering committees. Florian Heitz, MD, Fellow in gynaecologic oncology, involved in the medical and surgical care of patients with breast and gynaecological cancers. He is principle investigator of the Ovarian Symptom Benefit Study and is author of more than 10 peer-reviewed publications. Philipp Harter, MD, is a Senior physician in gynaecologic oncology and involved in gynaeclogic endoscopic surgery and surgical and medical therapy of patients with gynaecological cancers. He is a member of various Medical Societies and as member the AGO study group he is the scientific lead of several studies on the surgical therapy and chemotherapy of pelvic tumors. The University Hospital Carl Gustav Carus Dresden is dedicated to research in addition to patient care and education, making it one of the top-ranked hospitals in Germany. The Comprehensive Cancer Centre of the university hospital and the medical faculty integrates all cancer treating specialties. The Department of Gynaecology and Obstetrics is approved as Gynaecologic Cancer Centre. In the Department of Gynaecology and Obstetrics > 60 new diagnosed ovarian cancer patients are being treated per year, in addition to ovarian cancer patients who present at time of relapse. A large tumour bank has been constructed by the university hospital. The Department of Gynaecology and Obstetrics is one of the leading centres of the G-AGO group since many years and participated in more than 15 phase II and III trials in ovarian cancer, involving many new molecular targeted drugs. Results of research focussing on ovarian cancer are regularly published in peer-reviewed journals. The University Hospital Carl Gustav Carus Dresden is responsible for recrutiting patients in Phase II of the GANNET53 trial and in the EUDARIO trial, collects biomaterials (WP4) and participates in WP6 (companion diagnostics). Pauline Wimberger, MD, PhD, is the head of the Department of Gynaecology and Obstetrics of the University Hospital Carl Gustav Carus Dresden. She participated in more than 50 clinical trials and published many original papers in the field of ovarian cancer research. She is member of G-AGO, AGO Kommission OVAR, German Society of Gynaecology and Obstetrics (DGGG), German Cancer Society (DKG) European Society of Gynaecological Oncology (ESGO), American Society of Clinical Oncology (ASCO) and European Society of Breast Cancer Specialists (EUSOMA). Ulrich Canzler, MD, is consultant in gynaecologic oncology and principal investigator of more than 15 clinical trials. He is member of G-AGO, German Society of Gynaecology and Obstetrics (DGGG), North-Eastern German Society of Gynaecological Oncology (NOGGO) and the German Cancer Society (DKG). The CFB is a Comprehensive Cancer Centre based in Normandie, France. CFB is dedicated to patient care, education and research. Its clinical Department of Development of Early Phase Trials has been recognized by INCA (French National Cancer institute) in 2010 to be among the 16 national clinical research centres dedicated to developing new drugs. A clinical unit has been created in 2011 to treat patients in clinical trials with a specific team of physicians and nurses. The Multidisciplinary Department of Gynaecologic Oncology includes specialists in medical oncology, radiotherapy, imaging and surgery. More than 85 new ovarian cancer patients are treated per year, in addition to about 80 ovarian cancer patients per year who present at time of relapse. The Department of Gynaecologic Oncology currently participates in more than 10 phase I-II or III trials specifically in gynaecological cancers (among the 145 trials open in the Clinical Research Department). A university-integrated laboratory of experimental Gynaecology Oncology (BIOTICLA) works with the clinical team on apoptosis and chemotherapy resistance in ovarian cancer. This team includes 5 researchers and more than 5 students currently performing translational research on gynaecological cancer. The Division of Gynaecological Cancer Research is publishing regularly in publications in peer-reviewed journals. A large tumour bank has been constructed in the past 10 years with tissue samples from around 300 ovarian tumours. The Department is involved in many ovarian cancer trials within the GINECO Group, the EORTC-gynaecological Cancer Group, ENGOT (European Network of Gynaecological Trial groups and GCIG (International Gynaecological Oncology Group), and in industry trials in ovarian cancer. CFB recruits patients in Phase II of the GANNET53 trial and in the EUDARIO trial, collects biomaterials (WP4) and also participates in WP6, companion diagnostics. Florence Joly, MD, PhD, is the Chief of the Clinical Research Department of Centre Francois Baclesse, Caen. She is a medical Oncologist dedicated to Gyneco-oncology and Uro-oncology. She is a member of the scientific committee of the GINECO group, France. She is chair of the Symptom Benefit Group for the International GCIG. She is author or co-author of more than 80 full papers in peer-reviewed journals, together with some book chapters. She is also a scientific reviewer for numerous Journals (eg Cancer, International Journal of Gynaecological Cancer, Annals of Oncology, Gynaecologic Oncology, Journal of Clinical Oncology). Stephanie Lheureux, MD, PhD, performs translational research in ovarian cancer. Laurent Poulain, PhD, coordinates the Laboratory of preclinical research at BIOTICLA. Astrid Letiembre, clinical research manager. The Medical University Greifswald (EMAUG) is one of the oldest in Germany and was founded in 1456. Today the Medical University Greifswald is one of the biggest hospitals in the north of Germany with 21 clinics, 19 institutes and additional research centres. The hospital has 880 beds and in 2009 treated 147,000 patients. The Department of Gynaecology and Obstetrics is composed of different units and treats all types of gynaecological cancers as well as breast cancer. The Department of Gynaecology and Obstetrics has long-standing experience in the clinical care and translational research of ovarian cancer, taking part in many Phase II and III clinical trials for gynaecological malignancies and ovarian cancer. The Department of Gynaecology and Obstetrics is linked to the major national and international trial groups (e.g. G-AGO, NOGGO, and EORTC). The research laboratory conducts extensive epigenetic and genetic research in the field of Gynaecology and Oncology. The laboratory has excellent facilities for advanced high-level genomic and epigenomic analysis. Since 2004 the Department of Gynaecology and Obstetrics is part of the international multi-centre tumour bank ovarian cancer network (TOC, www.toc-network.de). Experience: This centre is one of the key partners in the EU FP7 RAIDs project. The Medical University Greifswald recruits patients within Phase II of the GANNET53 trial and in the EUDARIO trial, collects biomaterials (WP4) and also participates in WP6, companion diagnostics. Alexander Mustea, MD, PhD, chairs the Department of Gynaecology and Obstetrics and has outstanding clinical expertise in gynaecological oncology. He is active in scientific research as the initiator and leader of several phase II and Phase III clinical trials. He was involved in the EU FP6 OVCAD consortium and is a part of FP7 RAIDs consortium. Dominique Koensgen, MD, PhD, is a physician working in the field of ovarian cancer. She is leading the tumour-banking program for ovarian, cervical and endometrial cancer and leads the translational research within the group. She was involved in the OVCAD consortium and is part of the RAIDs consortium. Daniela Brunnert, PhD, Post-Doc, is a Biologist with strong experience in research focused on prognostic and predictive factors in gynaecological malignancies, and in ovarian cancer. She is involved in the RAIDs consortium. The Department of Obstetrics and Gynaecology of the Medical University of Magdeburg represents a centre for treatment of gynaecological malignancies and breast cancer in Germany. The major focus is the multi-modal interdisciplinary approach in advanced stages of gynaecological malignancies and breast cancer. Since many years the institution is involved in numerous Phase I to III clinical trials. About 80 patients are enrolled yearly into clinical trials. In the field of ovarian and breast cancer, two members of the scientific team play an active role in oncological working groups such as NOGGO, AGO, and GCIC. The main task attributed to the GANNET53 clincial trial is the recruitment of platinum-resistant ovarian cancer patients within the Phase II clinical trial and the collection of biosamples (WP4). Furthermore, P18 participates in WP6, companion diagnostics. Atanas Ignatov, MD, PhD, a physician with clinical experience especially in female cancers. He is the principal investigator in several national and international clinical trials. The Center for Clinical Trials (KKS Marburg) is an independent facility of the Medical Faculty of the Philipps-University Marburg. KKS has more than 17 years of experience in the planning, organization and conduct of multicenter clinical trials and an excellent expertise in clinical trials methodology, data science, Good Clinical Practice, multicenter data management and quality assurance. KKS supports clinical trials in oncology, neurology, internal medicine, surgery, psychotherapy, dental medicine and other indications. The KKS Marburg is one of the founding members of the KKS-Network and member of the ECRIN Working Group for GCP-compliant data management. In addition, the KKS Marburg cooperates with well-known study groups, such as the AGO study group, the DZL or the ENS@T consortium. KKS Marburg is responsible for the complete pharmacovigilance in the EUDARIO trial for all participating centers (WP4 and WP2). This includes the assessment and reporting of safety issues to European competent authorities and other participating parties as well as the preparation of yearly safety reports (DSUR). Carmen Schade-Brittinger, is the director of KKS Marburg; Michael Wittenberg, PhD, is the vice-director of KKS Marburg; Thomas Acker, is responsible for vigilance quality management; Eckhard Bergmann, MD, is responsible for safety management. Brief description of the organisation and summary of experience relevant to the project Two units within the legal entity INT have distinct roles in the GANNET53 project: a) The Gynaecological Medical Treatment Unit will enroll patients. b) The MITO Group is the leading clinical trial group in Italy. INT will recruit patients in the EUDARIO trial (WP4) and will also participate in WP6 (companion diagnostics) by processing of biomaterials. The Gynecological Medical Treatment Unit of the IRCCS National Cancer Institute of Milan Foundation is an outstanding and reference center for the treatment of gynecological tumors with extensive clinical, teaching and research activities, covering all types of gynecological tumors. About 150 new cases of ovarian cancer and 60 recurrences, 100 new cases of cervical cancer and 120 new cases of endometrial cancer are seen in our department per year. The Unit is part of the Gynecologic Oncology Unit of INT - Milan which received the certification as ESGO centre for European Fellowship in Gynecologic Oncology in 2010. A multidisciplinary team comprehensive of surgeons, medical oncologists, pathologists and radiotherapists, completely dedicated to gynecological tumors, works in the Unit. The medical staff of the unit is involved in several outstanding phase I-II-III-IV clinical trials and in translational research projects in gynecological malignancies both at national and international level. About 50 phase I/II/III clinical protocols according to GCP rules are ongoing in our Unit. Moreover, the Unit has all the specific facilities required to properly run the protocols in GCP including both infrastructures (e.g. laboratories for processing blood and tissue samples, molecular biology laboratories with high level technologies) and dedicated personnel (e.g. biologists, pathologists, radiologists, study coordinators, research nurses, scientific secretaries, fellows and medical doctors). Domenica Lorusso, MD, PhD, is responsible of Gynaecological Medical Treatment Unit at National Cancer Institute of Milan. She has been involved in Gynaecologic Oncology research and in designing and conducting clinical trials for more than 15 years and, as sub-investigator at the beginning and principal investigator later, she participated to more than 80 clinical trials in gynaecological cancers. Dr Lorusso is responsible of the Clinical Trials Committee of the MITO Group (Multicentre Italian Trials in Ovarian Cancer and Gynaecological Malignancies) grouping more than 150 Italian centres committed in gynaecology oncology research. She is also member of the board of Directors of the Gynaecological Cancer Intergroup (GCIG), formed by 23 international research groups all over the world, which aims to promote and conduct high quality clinical trials to improve outcome for women with gynaecological cancers. Dr Lorusso is also active member of ENGOT (European Network of Gynaecological Oncological Trial groups) an international organization supported by and part of the European Society of Gynaecological Oncology (ESGO) which coordinates and promotes clinical trials within Europe on patients with gynaecological cancer. She is also member of ESMO (European Society of Medical oncology). She is considered opinion leader in the field of gynaecological cancer in Italy and abroad. The MITO Group is responsible for coordination of all patient-recruiting centres in Italy (i.e. P20, P21 P22) in the EUDARIO trial. Furthermore, MITO at P20 is responsible for the administrative coordination of the EUDARIO clinical trial in Italy, including Ethics Committee Application and all necessary Regulatory Authority interactions in Italy (WP2). MITO also participates in dissemination activities (as representative of its assigned clinical centres; WP8). The MITO Group - Multicenter Italian Trials in Ovarian cancer and gynecologic malignancies is a no profit research organization that includes about 150 italian centers, and aims to bring together lovers of Gynecologic Oncology in order to promote progress in the clinical, experimental, and social assistance, to foster relations among gynecological oncology specialists, doctors general practitioners and specialists in other disciplines, to establish scientific relations with similar Italian and foreign associations and institutions participate in national, regional and local. The association also aims to promote experimental and clinical research, the quality of cancer care by drafting guidelines for surgical and medical cancer therapy, and interdisciplinarity. The MITO group was born in 1998 and at present has produced several randomized and non-randomized clinical trials and pre-clinical studies that have been published in peer reviewed and highly impacted scientific journals, which have greatly contributed to the amelioration of scientific literature and to the improvement of clinical practice in the treatment of gynecological malignancies. Domenica Lorusso, MD, PhD, please see above. UCSC will recruit patients in Phase II EUDARIO trial (WP4) including the processing of biomaterials (WP6). 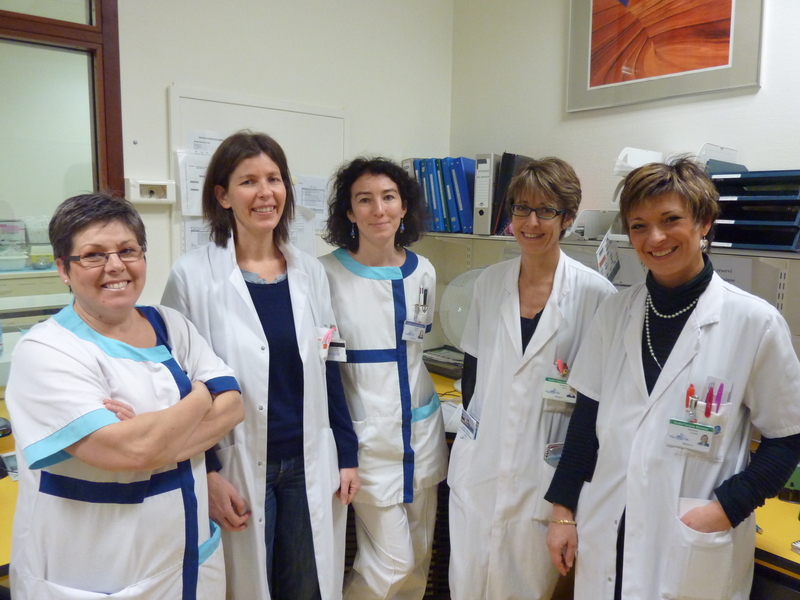 The Gynecologic Oncology Unit at Fondazione Policlinico Universitario Agostino Gemelli is organized in centers of expertise (CE). Each CE has an expert team of gynecologists, who are specialized in surgery, chemotherapy, gynecologic ultrasound, colposcopy and hysteroscopy. They share the mission of providing patients with the highest standards of care to deliver timely diagnosis, treatments, and follow-up. The reputation of our clinical and surgical teams attracts thousands of patients and families from all parts of Italy. The large number of patients and the full dedication of valuable scientists are the key success factors in studying clinical and molecular characteristics of these tumors and in collaborating in pharmacological research with clinical trials. The group offers a multidisciplinary approach, being composed by gynecologists, pathologists, oncologists, radiologists, radiotherapists and plastic surgeons. Recently, a Female Clinical Trial Unit opened, to offer high quality in clinical trials research to patient with female cancers. In this Unit Phase I-II-III clinical trials are conducted, with dedicated staff and resources. It includes 9 dedicated sub investigators, 4 research nurses, 5 study coordinators, dedicated laboratory, dedicated pathologist, radiologists, pharmacist and other specialists necessary to specific trial. Ongoing and new patients are evaluated in a weekly meeting, to assess problems for ongoing patients and new candidates to different clinical trials. Monthly Multidisciplinary meetings are conducted with transversal teams. Recently the Gynecology Oncology Unit is accredited as ESGO excellence center and ESGO training center. AOSP will recruit patients in Phase II EUDARIO trial (WP4) including the processing of biomaterials (WP6). Azienda Ospedaliero-Universitaria di Bologna Policlinico S. Orsola-Malpighi (AOSP) is an Academic Hospital where the gynecological pathologies are followed from the diagnosis to the surgery and the different phases of the therapy, until treatment of advanced disease. The Department managed by dr Claudio Zamagni, SSD Oncologia Medica “Addarii”, is exclusively dedicated to women pathologies (breast and ovarian cancer). Every year about 1000 patients are treated at Day Hospital Zamagni and more than 100 new patients with ovarian cancer are received every year. Dr Claudio Zamagni started its medical career of Oncologist at Azienda Ospedaliero-Universitaria di Bologna on 1990 and from 1st October 2009 he is Head of SSD Oncologia Medica Addarii. Author of more than 100 scientific papers; he is a member of ASCO, ESMO, ESGO, ANT (National Tumour Association) and AIOM (Italian Association of Medical Oncology). Since 1996 he has participated to more than 100 Phase II and Phase III clinical trials (involved in 16 ovarian cancer trials in the last 5 years). Dr Alessandra Bernardi works at Medical Oncology Unit of AOSP Bologna since 2005 and she has always been dedicated to gynecological and breast cancer pathologies. During her medical career she has been involved as Sub-Investigator in Phase II and III clinical trials. Dr Nicoletta Cacciari started her medical career at Medical Oncology Unit of AOSP Bologna in 1998. She has strong expertise in breast and gynecological cancer and she has been involved in more than 100 Phase II and III clinical trials since 1996. Dr Sara Quercia is Medical Oncologist at SSD Oncologia Medica Addarii since 2009. She has expertise in breast and ovarian cancer and she has experience on Phase II and Phase III clinical trials since 2004. Dr Daniela Rubino is Medical Oncologist at SSD Oncologia Medica Addarii from 2012 and she has expertise on Phase II and Phase III clinical trials since 2008. Her activity is aimed to gynecological disease. All staff members are fully dedicated to women pathologies (breast and ovarian cancer) and are involved in clinical trials activated at SSD Oncologia Medica Addarii. Cinzia Pizzirani is Study Coordinator at the Clinical Trial Office of SSD Oncologia Medica Addarii from 2013. On 2016 she has concluded the master’s Degree on Drugs Clinical Trials in Internal Medicine, Haematology and Oncology. Maria Pagliaro is Study Coordinator from 2015 and she has expertise in Phase II and Phase III clinical trials. Marianna Carapelle is Study Coordinator at SSD Oncologia Medica Addarii since 2017 and she has expertise in Phase II and Phase III clinical trials. The Clinical Trial Office is dedicated to Phase II and Phase III clinical trials activated at SSD Oncologia Medica Addarii of AOSP Bologna. The Study Coordinators have expertise in gynecological and breast cancer clinical trials. They are dedicated to management of patients enrolled in clinical trials, eCRF completion and are responsible of processing of biological samples collected for protocol endpoints. The Study Coordinators are also involved in submissions of clinical trials to Ethics Committee. technological development and demonstration under grant agreement no 602602.